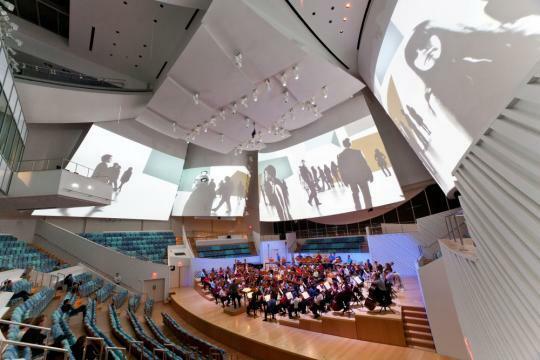 From intercom solutions for large buildings to audio-video and pro sound solutions for churches, arenas and concert halls, Gallaher can design and deliver an integrated solution for your communications needs. We specialize in providing pro sound solutions for large venues such as churches, concert halls, and arenas. ​​We partner with industry leaders in this market to deliver a high quality solution for your pro sound needs. Professional audio can include, but is not limited to broadcast radio, audio mastering in a recording studio, television studio, and sound reinforcement such as a live concert, DJ performances, audio sampling, public address system set up, surround sound design in movie theatres, and design and setup of piped music in hotels and restaurants.